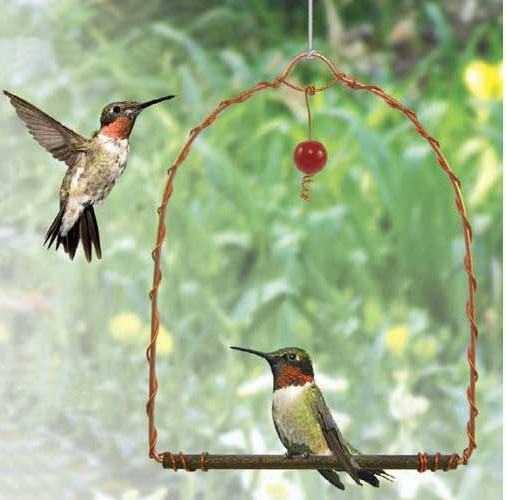 Hummingbirds are territorial creatures and will use the swing as their perch, when placed near their feeder, to keep an eye on it. I have seen people who have many Hummers feeding on their feeder, but I have selfish Hummers that won’t let anyone else feed! Where Should You Place Your Swing? Pick an open area near your feeder or the hummers’ food source. Place it at the same level or a little higher than the feeder so they can overlook their food source. This would make a wonderful gift for that “hard to buy for person”. Keep a couple of these put back for that sudden event that you need a gift.